It feels like everyone’s doing it. 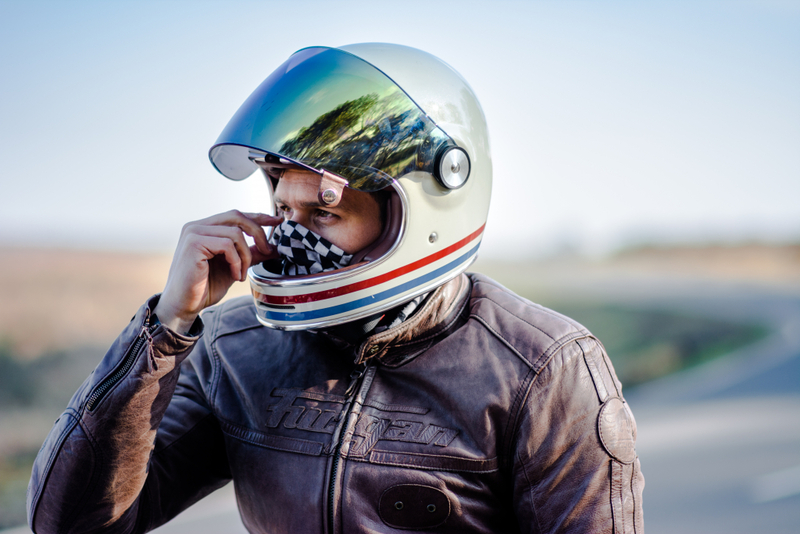 It’s difficult to name a motorcycle manufacturer that isn’t currently offering some kind of retro-modern marvel that boasts throwback styling and bucket loads of custom cool. But Indian has some serious history in the Bobber scene, with its 1920 Scout model arguably lending the skinny silhouette and typical sprung single seat that Bobber enthusiasts based many of their early creations on. Fast-forward to the 1930s and the booming American racing scene saw many private owners aim to ape the stripped-back look of these performance machines by getting rid of any unwanted bodywork, cutting (or bobbing) the mudguards and keeping the lines as low and sporting as possible. It seems only natural that Indian’s recently resurrected Scout has been given the full bob treatment, featuring lower rear suspension, knobbly tyres, cut down guards and blacked-out details. Unlike Triumph’s Bonneville Bobber, which has gone the whole hog in terms of paying homage to the bob-jobs of old, Indian’s latest Scout iterant plays things a bit safe. Although offered as an optional extra, the characteristic sprung seat is replaced by a low-slung leather number that is nestled in between an aggressive rear fender and the sweeping fuel tank. It’s muscular, aggressive and made even more potent by the 100hp V-Twin engine that sits on display in the heart of the frame – its cylinder head casing cleverly highlighted with contrast chrome accents to draw attention towards it. 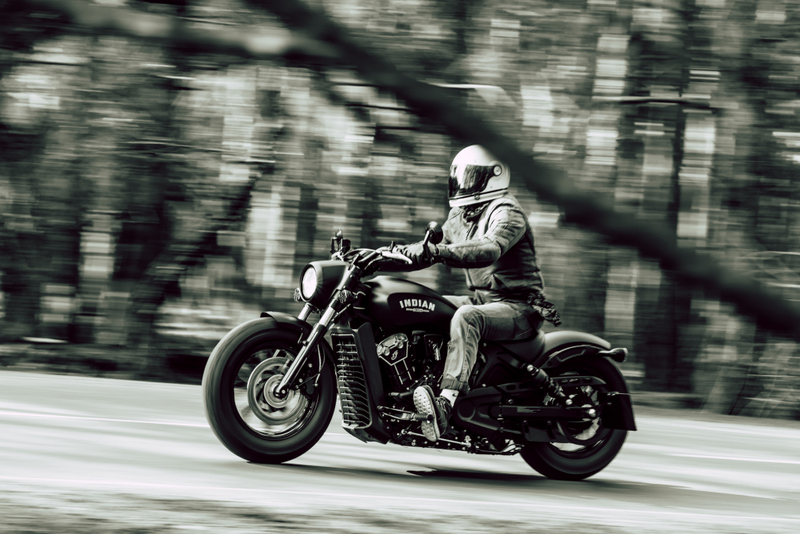 There’s no denying it looks like it means business but it’s most certainly a modern take on the bobber look, rather than a true throwback to the early bikes from which it draws inspiration. The aforementioned Triumph arguably comes closer to hitting the brief but its shorter, skinnier frame and less imposing engine unit lend it a slightly more dainty air when parked side-by-side. 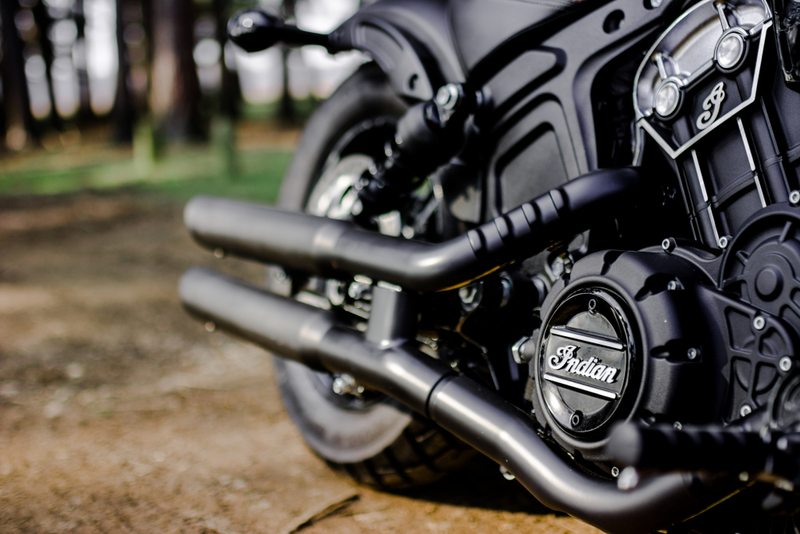 Also, the Indian Scout Bobber isn’t offered with quite as many dealer accessories as its Triumph counterpart but that’s not to say it isn’t customisable. In fact, the model we rode had been given a slight tickle by Bournemouth’s very own Moore Speed Racing, which had added a noisy exhaust system and cleaned up the number plate hanger with a bespoke, side-mounted number. 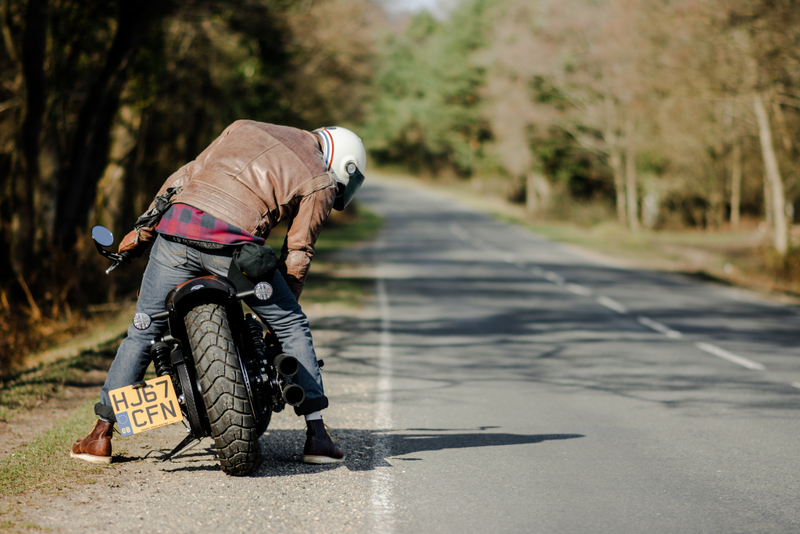 Give them a small budget and they’ll happily transform a brand new Scout Bobber into a truly unique retro-modern machine, if you so wish. 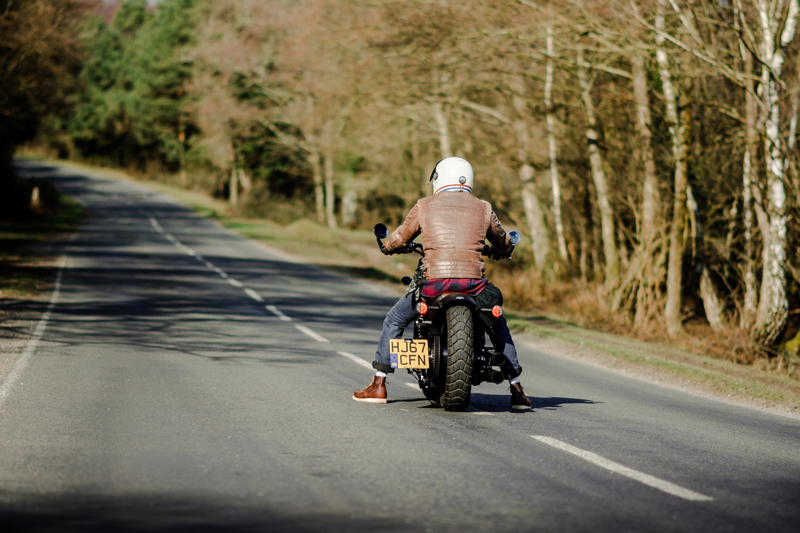 A bitterly old but exceptionally clear winter’s day provides the canvas for a ride out on some of my favourite routes and the Scout Bobber doesn’t fail to live up to its reputation as a proper straight-line speed machine. The 1,133cc liquid-cooled V-Twin is jam-packed with modern technology to ensure it is as smooth and manageable on the long motorway cruises, as it is responsive on the faster straights. 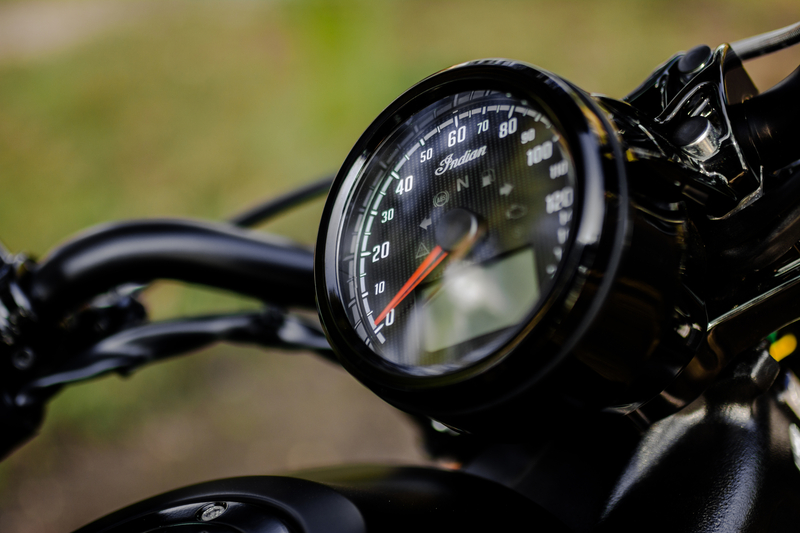 In fact, there’s a surprising surge forward when the throttle is twisted in anger and the big Indian actively encourages you to grab it by the scruff of the neck and hurl it down the road with gay abandon. Triumph’s Bobber might feel slightly more alive through the corners but the Indian really does pack some serious overtaking power and the throttle response is excellent. 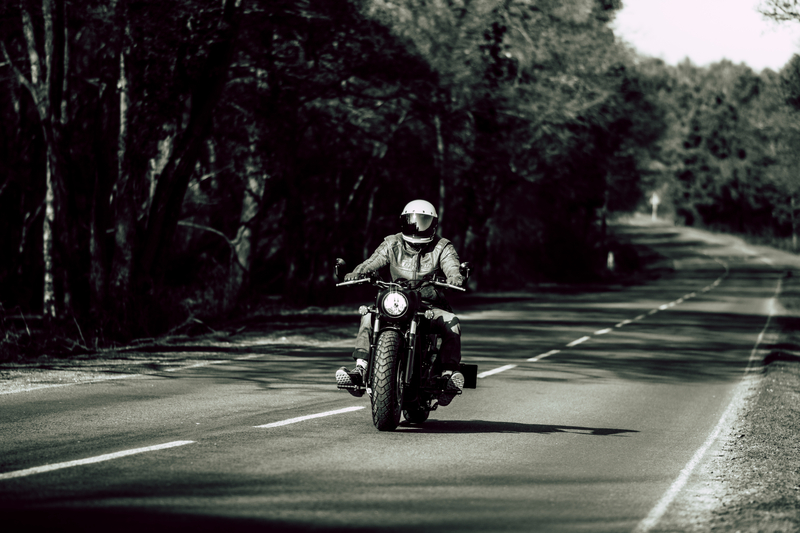 Unfortunately, there’s a lack of ABS as standard here, while Triumph’s torque-assist ‘slipper’ clutch and selectable traction control systems give it a healthy technological edge. 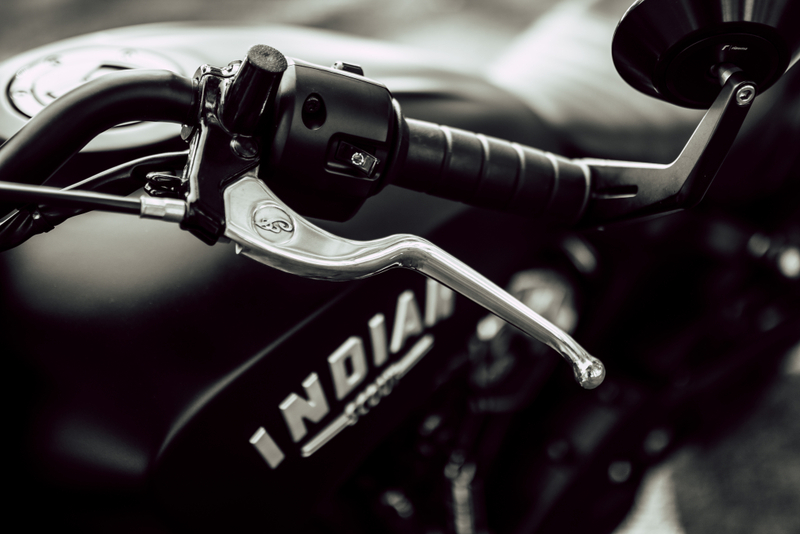 However, there’s something quite raw about the Indian that’s difficult to ignore – its surge of power is addictive and the loud pipes installed by Moore Speed Racing sound absolutely fantastic when popping and burbling on the overrun. 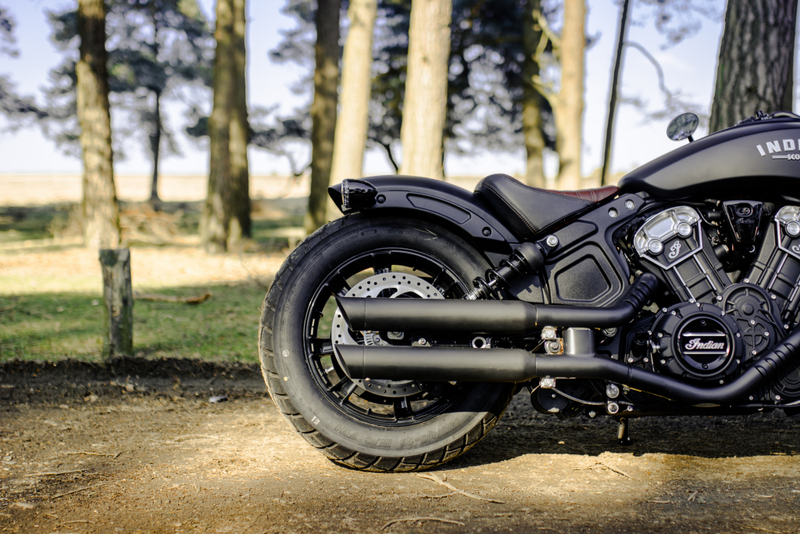 For me personally, the Indian Scout Bobber doesn’t quite nail the bob-job brief straight off the production line, with its muscular styling and integrated seat moving too far away from the traditional machines for my liking. But hand it over to your friendly neighbourhood custom chop shop and it’s ridiculously easy to make it look very special indeed. But have a good look under the skin and Indian’s switchgear and finishing kit can feel a bit cheap in places – something that we also pointed out after spending extensive time with the standard Scout Sixty when it first came out – and with prices starting at £11,299, it’s a good chunk of change more expensive than the rival Triumph, which feels more upmarket in the nobs and switches department. 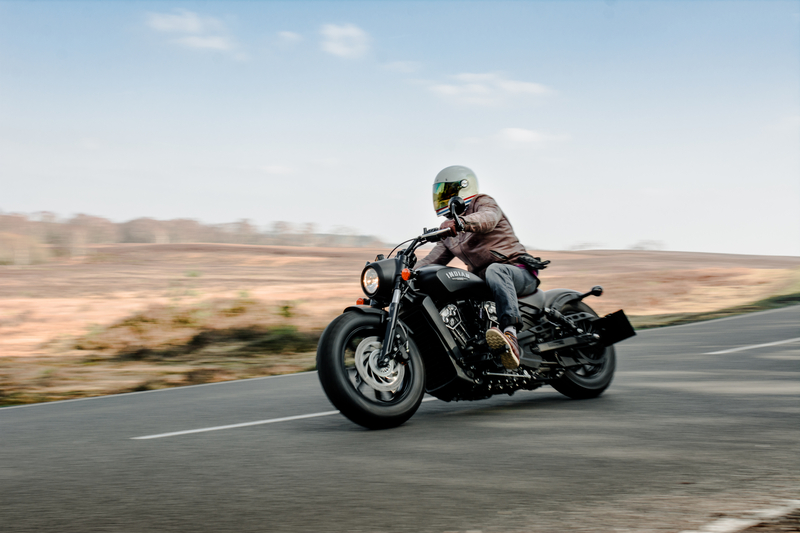 There’s also the issue of the Harley-Davidson Street Bob, because it’s a mighty fine machine that boasts an intoxicating V-Twin rumble and the all-American razzle-dazzle you’ve come to expect from the brand. Regardless, it’s a great time to be alive if you like your bikes styled with some retro panache but running reliable modern technology, because there’s a growing list of bikes that fill that bill perfectly. 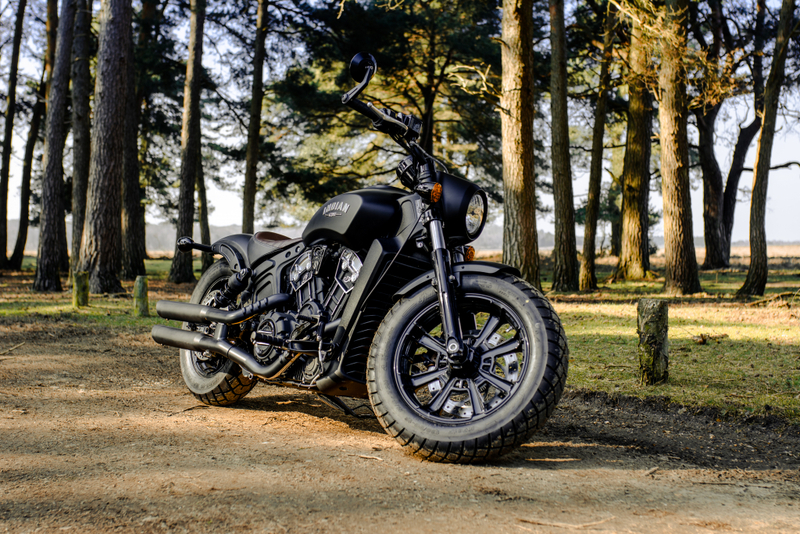 Make way for the Indian Scout Bobber, because it has just made that list a little longer. Many thanks to Moore Speed Racing for the loan bike and the cups of tea when it decided to snow.